Chances are, you haven’t heard of Proterra. The Silicon Valley-based start-up has one focus: to eliminate the need for a diesel bus, forever. It’s something the company has been working quietly on since 2004, and has made moderate progress since. It sold its first three, all-electric buses in 2009, ramping up sales marginally throughout the years since. Proterra started hitting its stride a bit in 2015 when it sold 62 buses across 12 different transit agencies. But with a nominal range of 146 miles, a mark below many electric cars, widespread adoption hasn’t been feasible. 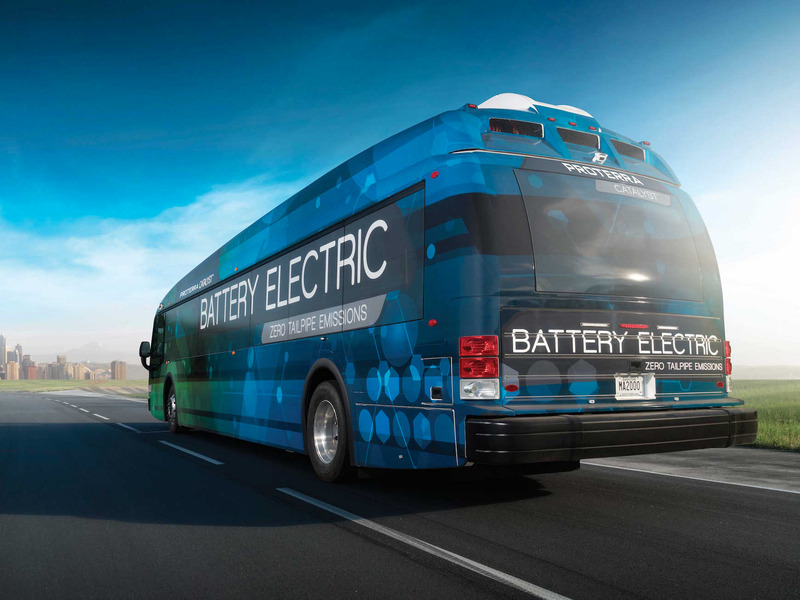 “If you take a traditional steel bus and just start dumping batteries on it, that bus is going to get really heavy really quick,” Horton said of the decision to design a new bus entirely from scratch. The new bus body is made of a carbon fibre composite, allowing it to remain lightweight, but durable. Proterra, which makes its own batteries in its Silicon Valley office, improved energy storage and put most of the batteries “underneath the body of the bus so it helps us keep it very, very low center of gravity,” Horton explained. That innovation has resulted in a bus that fits 77 passengers and can pack 660 kWh of energy to drive 350 miles on a single charge. 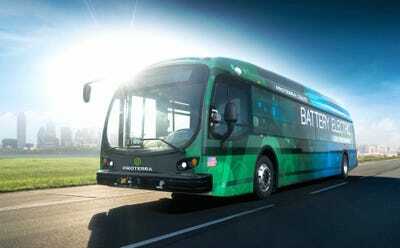 On a closed track, which doesn’t mimick the difficulty of urban driving, a Proterra bus with just a 440 kWh battery achieved 600 miles on a single charge. But ranges are tricky to talk about, especially when it comes to buses, because range is affected by a variety of factors like constant braking, temperature, and the twists and turns of city streets. That’s why Horton is sure to note that a 600-mile range isn’t achievable in a route setting. However, the battery tech is good enough for the bus to run the full 18 hours transit operators need, the compamny said. Horton said the start-up has customers in 15 states across the country and that it’s pre-sold over 300 buses to-date. By the end of 2017, all of the buses will be fully operational. “This is the first time that an electric vehicle has been brought to market that, on a truly no compromise basis, is going to replace all the fossil fuel vehicles in its category,” Horton said.